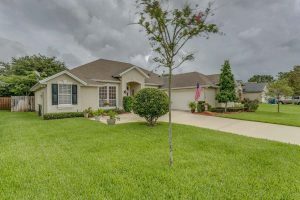 This extended Holiday weekend we have three open house showings, one Friday evening, one near the airport on Saturday and one in Fleming Island on Sunday. Please come by and tour these beautiful homes this weekend. We have wonderful agents available to assist you and answer any questions you may have. This gorgeous home on corner lot has two gates (driveway + RV/boat parking). Updated/remodeled and all fenced (front/back), move in ready! Fire pit in the back. Rented security system. 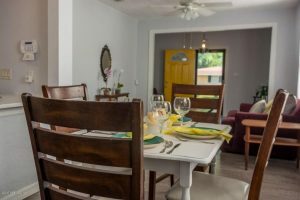 Spacious living/dining room w/plenty of windows throughout. Storm front door. Vaulted/cathedral ceiling in kitchen,granite tops/breakfast bar,stainless steel appliances. Large MB. Window treatments & nice closet space. 2nd bedroom is specious w/ 2 closets. Washer/Dryer hook up space in hallway. Very convenient location, near everything one needs (grocery/pharmacy/restaurants). Near Roosevelt & Blending. Easy and fast access to NAS Jax. Low utility bills. Hosted by Eva Santiago! Beautifully kept home in desirable gated community. This 4 bedroom 3 bathroom home features private master bedroom, custom solid surface countertops in kitchen, newer hardwood floors, and has a large screened in patio with pavers. 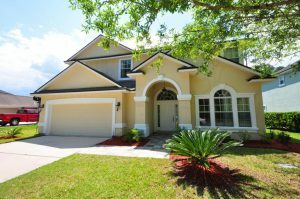 Beautiful Fleming Island Home 5/3 1/2 baths, open floor plan highlighted by the gorgeous gourmet kitchen ready to entertain. Master retreat includes his and hers walk-in closets, large master bath, frame-less shower enclosure, and Garden tub. Must see! !